On Wednesday February 6, 2013, it was announced that the Houston Dynamo have entered into an agreement with Mega TV (KTBU Channel 55) as its official Spanish-language TV partner. Under the deal, Mega TV, which is owned and operated by Spanish Broadcasting System, Inc., will broadcast seven Dynamo road games during the 2013 MLS Season. Game broadcasts will include a 30-minute pregame and 30-minute postgame show. Additionally, Mega TV will include Dynamo highlights and news in its weekly magazine show, “Portada”. The agreement completes the Dynamo’s broadcast platform for the new season, which becomes one of the most comprehensive in Major League Soccer. The platform includes local television partnerships with Comcast SportsNet Houston (CSN), KPRC Local 2 (NBC affiliate), and Mega TV. Additionally, Houston will have a total of 18 nationally-televised games during the 2013 MLS season. The platform also includes local radio partnerships with Gow Media (1560 AM, 97.5 FM) and Liberman Broadcasting (850 AM, Spanish). Altogether, the Dynamo’s local media platform will offer approximately 600 hours of on-air programming during the year, with 239 hours of TV and 366 hours of radio coverage. In addition to their game broadcasts, Mega TV will also produce a 30-minute season preview and a season wrap up show. Air dates for both programs will be announced at a later date. Mega TV games will be simulcast on CSN. The Dynamo open the 2013 season on Saturday, March 2 when they host D.C. United at 7 p.m. at BBVA Compass Stadium in a rematch of the 2012 Eastern Conference Championship. Click here to buy tickets. 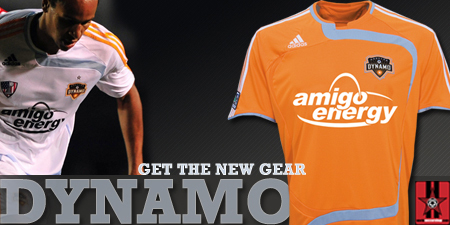 The above information is from a Houston Dynamo press release.